All is right in my world again……. Wasn’t my favorite in the series, but I was happy with the ending. The Bug Man and Sunshine left for the cabin for 2 days, leaving we with the house to myself! First…………..down came all the Christmas decor. 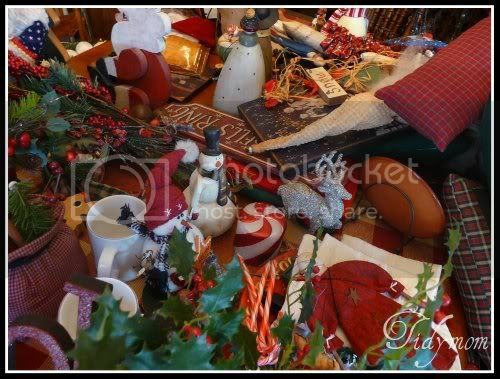 As much as I enjoy Christmas, all the clutter really drives me crazy. 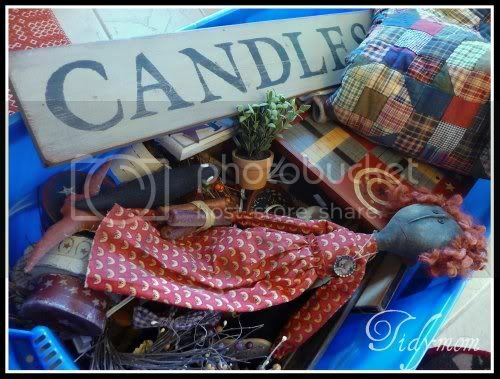 It felt really good to open the Christmas bins and see all of my everyday favorites safely packed away. Kix did NOT want me to put up the tree skirt! He was CERTAIN that was HIS new Bed! It took 4 sheets on the lint roller to get ALL of the cat hair off the tree skirt! It just goes hand in hand with bringing the holiday to a close. My problem…..I get a little carried away sometimes. You see, sometimes I should NOT have access to a screwdriver when I clean. I like to take things apart and clean them! I was cleaning the oven and realized there was a lot of dripping down inside the glass…..
Next thing I know……..I have the whole thing apart!! The only bad part……..I can’t put it back together by myself! LOL It requires at least 3 maybe 4 hands! So it will sit like this until The Bug Man gets home tomorrow. So everything is “right” in my world again. I would like to work on my blog – clean up, maybe a new background…..
I’m evening working on my first GIVEAWAY!! I think reading them all the second time may be even better because you can take your time and enjoy it – not rush to see “what’s going to happen”. I get in a winter funk too – I don’t like to leave the house or do anything – dh ends up picking up groceries even because I don’t like to go out. 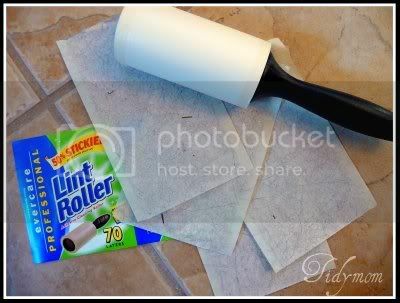 Had to laugh at your lint roller sheets! My dog thought the Christmas tree skirt (that I made last year and yes, it took hours!) was his personal pillow! I quit after three lint roller sheets but then took it outside and gave it a good shake! I too took everything down and put it all away today. Feels good. Time for a new year!! LOL I did the same thing with my oven door!! It does not go back the way you think it doee the sides are sneaky and go under the glass. Hi Cheryl, hey is a screwdriver a power tool? Not sure, but I am there with you baby! I have been almost ‘driven’ to get things clean again. Feels so good to have things clean, but I do miss the sparkle! Good thing my oven door is black and there is a dish towel that hangs from the handle…so I can just ignore those pesky drips, lol…I just really want new appliances…but want and get are 2 different things! 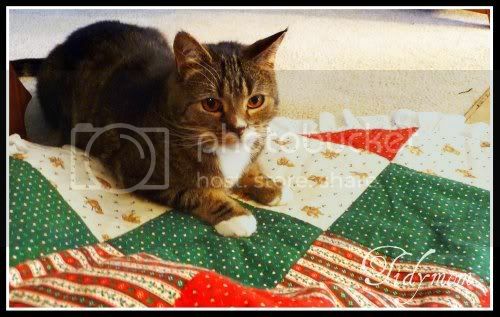 Cats do love Christmas, don’t they? You crack me up! I did something similar before the holidays…decided to clean the house in preparation of my family coming over, then before I knew it I was on the stepladder trying to dust all the shutters on the windows. Crazy! 🙂 But it does feel good to be clean, right? I am on book 3. Just started it last night. I do not want them to end but I’m ready to get on with my life! 🙂 I’ve seen the movie once and loved it! I want to see it again! Mama Dog yes! it sure feels good!! Debbie yes, my screwdriver is a powertool, it’s actually one of those rechargable Black and Decker ones! LOVE it! MommyMoMo thanks for stopping in!! Carrie I’m terrible like that too when company is coming ! Cathy I read that on your blog! what a bummer! Hope you’re up and running real soon! Oh, and we got Edward from elifesize.com. You can probably get him from allposter.com also. They may have some sales going on. 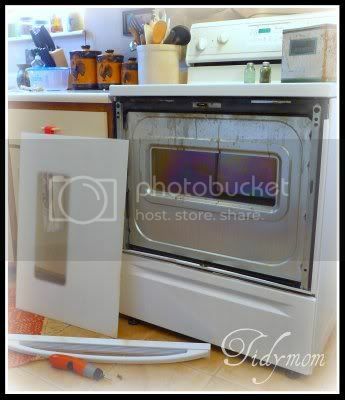 Glad I saw your blog b/c I didn’t know how to clean my oven in between! Hopefully my husband and I can get if off and on again ourselves. Thanks! Have you read the 12 chapters of Midnight Sun SM has posted on her website? It’s Twilight from Edward’s POV. All Edward, all the time. Yea! Who needs a clean house anyway? Mom in High Heels Oh YEA!! That’s my favorite!! I’ve read it twice already! !